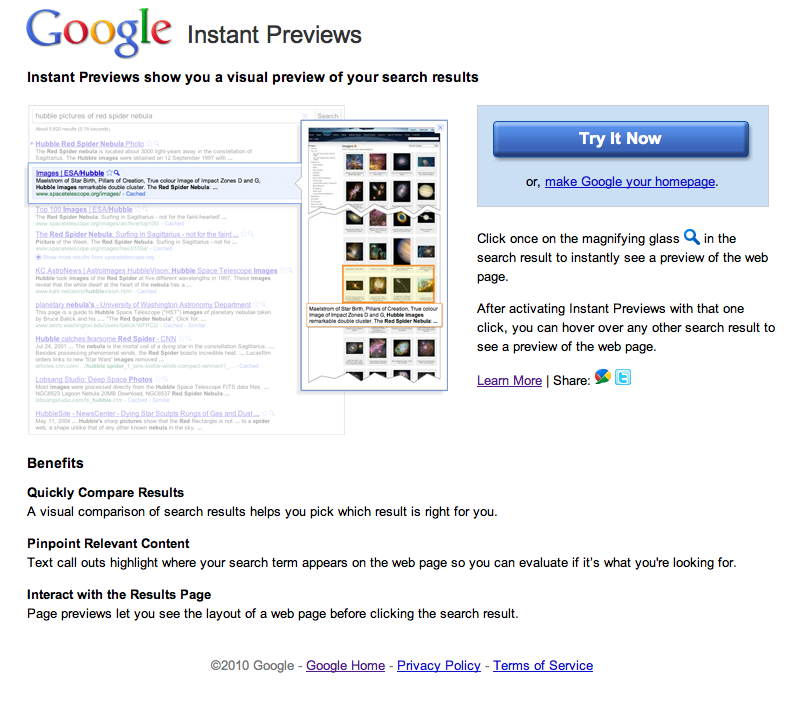 Today Google announced yet another new Experiment – Google Instant Previews. Clicking the magnifying glass produces a screen shot of the search results page. 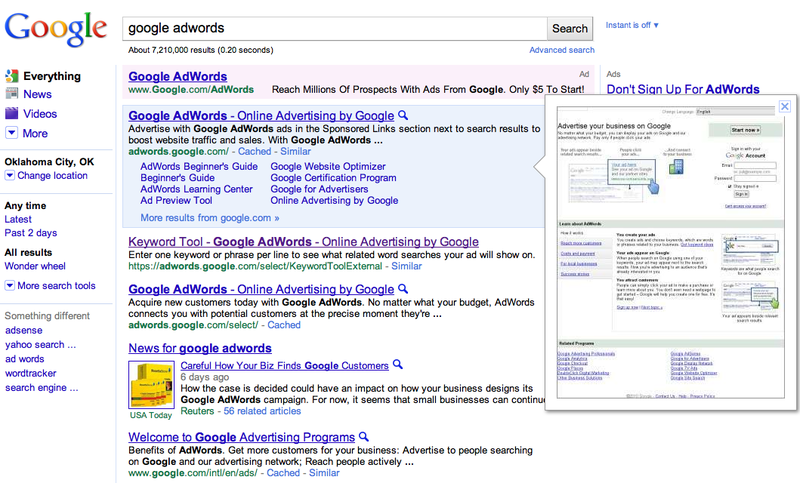 Will Google AdWords experiment with Instant Preview “Ads” anytime soon? This entry was posted on November 9, 2010 at 3:15 pm and is filed under Google Experiments, Google.com, http://www.google.com/webhp?esrch=instantpreviews, Instant Previews. You can follow any responses to this entry through the RSS 2.0 feed. You can leave a response, or trackback from your own site.